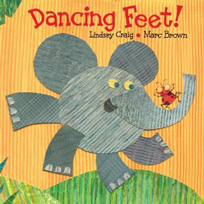 Lindsey Craig makes her debut as children's book author with Dancing Feet! (2010), a picture book with illustrations by Marc Brown. In the book, children are asked to guess whose footprints are dancing across a page, looking at the clues in the artwork and listening to the rhymes. A dancing bear makes a "Thumpity! Thumpity!" noise with its feet, while the steps of ladybugs sound like "Tippity! Tippity!" Craig, who has also written a musical and a children's play, says she grew up in a musical family and that she hears music in everyday things, from honking cars to thrumming crickets. 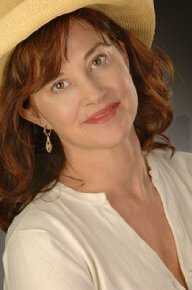 In addition to writing for children, the Bainbridge Island author is an active volunteer with local animal rescue groups.